Tiny bodies with big hearts and attitudes. The toy dog breeds are very popular as companion pets. People that love to sit with there dog nestled on their laps prefer dogs from this group. They fit well in small apartments and travel well tucked under your arm or in a stylish carrier. They also tend to be a bit yippy and opinionated and always think they are much bigger than they are. 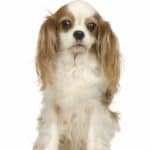 When well-cared for, they usually enjoy a longer lifespan than the larger breeds. 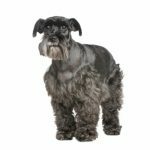 Some popular dogs within this group include: Affenpinscher, Cavalier King Charles Spaniel, Chihuahua, Yorkshire Terrier, Maltese, Toy Poodle. Some of the most popular breeds. Usually very active, energetic, smart; they love to learn and are eager to please their owners. Happy and friendly dogs. Includes Labrador Retrievers and Golden Retrievers which consistently rank #1 and #2 respectively as most popular dogs according to the American Kennel Club. Some others in this group are Cocker Spaniel, Weimaraner, English Springer Spaniel and Irish Setter. Originally bred to work for and alongside their humans. Often used as guard dogs for people, property and livestock. Very intelligent and loyal. Usually possess great strength and size, though there are some smaller breeds within this group. Can make good family pets but require consistent training and socialization starting at an early age to harness their innate strength. 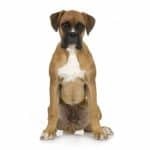 Great dog breeds within this group include: Boxer, Great Dane, Saint Bernard, Rottweiler, Akita. These dog breeds were originally intended as a hunter and killer of rodents. They are quick and agile. They tend to be bold, outspoken and tenacious with vibrant personalities. Although their size varies within the breeds, they all see a Great Dane as their reflection when they look in a mirror. Usually friendly by nature but they can sometimes be nippy. Jack Russel, West Highland White Terrier and Schnauzer are some of the dog breeds within this group. 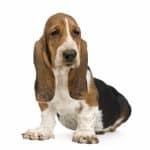 Hound dog breeds are best known as hunting dogs. Some hunt by sight and some by scent but both tend to be stubborn and single minded. Dog breeds within this group include Afghan Hound, Basset Hound, Bloodhound and Dachshund. Originally bred to herd livestock, these dog breeds tend to be medium to large in size (with some exceptions) with heavy thick coats to protect against the elements. Some can be a bit high strung due to their constant thinking nature. 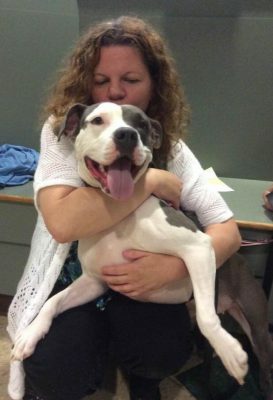 They are energetic and are very loyal within a family situation. They often try to herd the children and other pets in their family. 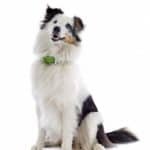 Examples of dog breeds within this group are German Shepherd, Border Collie, Shetland Sheepdog, Old English Sheepdog, Australian Sheepdog and Corgi. Within this group are a potpourri of dog breeds that don’t fit into any of the other categories. 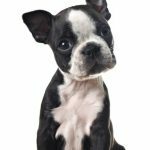 These include Boston Terrier, Lhasa Apsa, Dalmatian, Bulldog, Shar-pei. This group is not actually recognized by the AKC but they are here none- the- less and deserve mention. In some ways they probably fit into the category of mutt since they are a mixed breed and combine the characteristics of their combined parentage. Some dogs within this group are Labradoodle, Goldendoodle and Puggle.